Anyone who would like a very own personal artificial intelligence or personal assistant, complete with a little personality, may be interested in a new digital friend which has been created called Cubic. Cubic has been designed to be your digital co-pilot who is always on and there to help you whenever required. 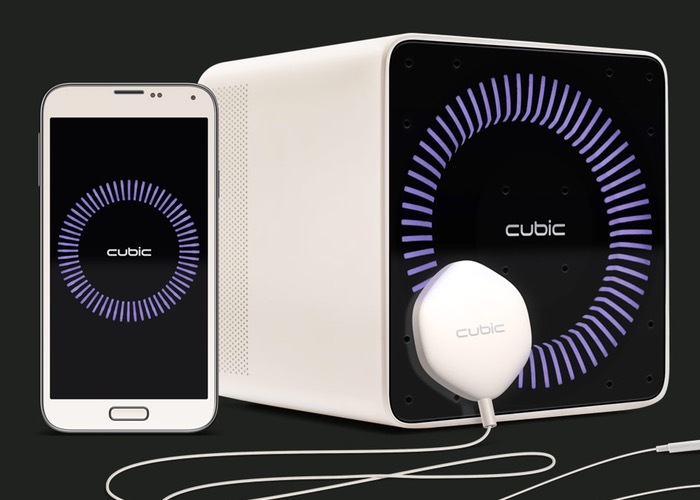 Users interact with Cubic by speaking as well as using companion applications on mobile devices and services that are currently supported including IFTTT, Nest, Hue, Spotify, SmartThings, Homeboy and more. “With Cubic, you can harness the power of all of your scattered technology from anywhere. You just talk to Cubic, and Cubic gets things done. If you’re at work, Cubic can adjust the temperature in your home, turn off your lights, lock your doors, set your alarm, and more. On the go, Cubic can remind you where you parked, tell you how many calories you’ve burned, and make funny comments about the news. In the car, Cubic can give you traffic updates and read you emails. You can even ask Cubic to repeat that funny comment he made and have him Tweet it for you. The Cubic project is currently over on the Indiegogo crowd funding website looking to raise $100,000 in pledges to make the jump from concept to production. So if you think the Cubic personal assistant is something you could benefit from, visit the Indiegogo website via the link below to make a pledge and become one of the first to use Cubic.